Have you fallen in the last 12 months? Do you have difficulty with balance or walking? Fall risk assessment has been added into the differential diagnosis tab for these common conditions! Special Thanks to Dr. Gregory Hartley for his input on adding this important geriatric consideration to the Clinical Pattern Recognition Apps! This comes from the 2015 article in the Physical Therapy Journal. What are the best tests for shoulder rotator cuff tears? Watch this video & find out more! Log-in to your PhysioU account, OR, Sign up for a 2-week free trial to get the first-hand experience of PhysioU! 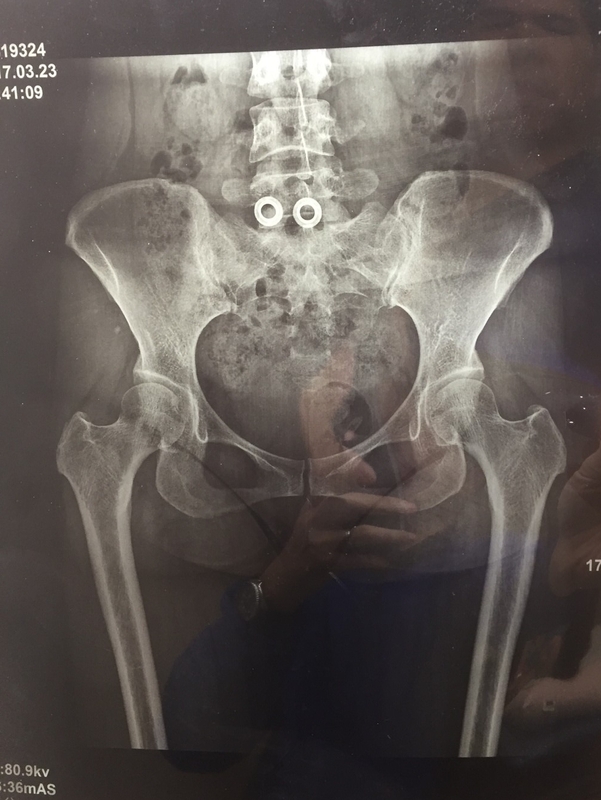 An interesting group of patients we have been seeing are many women with hip dysplasia. This was followed by exercises to improve the muscle power deficits of the hip abductors and extensors. An orthotic to minimize the leg length discrepancy was used to improve the gait pattern. This pattern is unique since we do not see much of this in our country where hip dysplasia is screened for and addressed early in life. Typically, we see hip pain with mobility deficits in the 50 and over age group as the hip joint osteoarthritis progresses. This mobility deficit (hip dysplasia), we find in young people and the loss of hip external rotation is very different than the hip osteoarthritis group, which generally lacks hip internal rotation. Ultimately, the key impairment is a loss of mobility and secondarily a loss of muscle strength. Physical therapy can be successful for these patients as long as we recognize the clinical pattern and address it with relevant interventions! Great news for the Physical Therapy community! While we are busy building the latest evidence-based learning tools to enhance Physical Therapy education, the PhysioU team is delighted to extend a two-week unlimited access free trial to our web app! Furthermore, if you decided to purchase this web app, we are throwing in below apps, that are in development right now and will be released this summer, as an EXTRA SWEET BONUS for our web app users. This is a limited-time offer. Sign up now before we change our mind! Check out these behind-the-scenes videos and see the experts in action. Also, we'd love to hear what you think of our apps on Facebook or drop us a line here. Leveraging the power of the Clinical Practice Guidelines! Well, it has been a busy weekend! Marshall and I have been working on updating all the techniques in the apps to show a grade of evidence as shown by the clinical practice guidelines. The guidelines are so powerful because they summarize the current best evidence and make recommendations. This allows clinicians to quickly get a sense of the value of the examination or technique based on multiple studies! See the images below of how Evidence in graded in the guidelines. You will see in all of your apps over the next week…. These grades being built into the relevant tests, interventions, outcome measures and patient education!